Strictly speaking, we’ll go wherever you want us to! Get in touch for a free quotation! 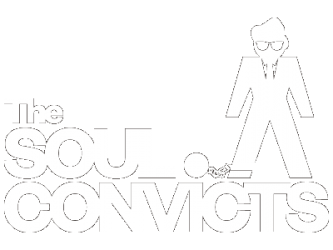 The Soul Convicts just play soul music, right? Wrong! With our line-up, it’s possible for us to play almost anything you’d want at a function or festival (The Rite of Spring may take some rehearsal!). Although we have a large repertoire of classic soul, in our experience we’ve found that a mix of everything tends to please everybody. We can however weight the sets to feature one style or decade more than others (say first set soul, second set mixed). But you’re in control and if you tell us what you want, we’ll do our upmost to do it for you! Will you play “...” song? If it’s already in our repertoire, absolutely! If it isn’t, let us know ASAP so that the song can be arranged and rehearsed. Again, get in touch with exactly what you want and we’ll quote you right away! Can I/my brother/my mum/my gerbil get up with the band and sing a song? Usually, we prefer not to risk the integrity of a carefully arranged song by bringing on guest performers but in certain circumstances (and with enough notice) we could maybe sort something. How much does the band cost? Running and rehearsing a 10 piece band of pro musicians is hard, expensive (on our part) and time consuming but there’s no ‘fixed fee’ as such. This will depend on where the gig is, how long we’ll be playing for and whole host of other variables. We will never overcharge and truly believe that you get what you pay for in this business. Get in touch for a quote. Do you play charity events? Get in touch with your idea and we can discuss it all in detail. No, but then we would say that. Can I book a smaller line up of the band? Unfortunately not. All of our arrangements are done with the 10 piece in mind and because we don’t use backing tracks (we play 100% live), the band would sound empty. Can you play our first dance? Well, a 10 piece band plus equipment takes up a considerable amount of room and while we don’t need a ‘stage’ as such, we do need a performance area at least 10 feet long x 30 feet wide. We’ll also need ample supply of plug sockets. Leave the rest to us!